A few months ago I read the book Wild by Cheryl Strayed, mostly interested to see how this one would be interpreted via screenplay. The book is not really about the great outdoors but about a woman’s journey to find peace set along a brutal through hiking trail. 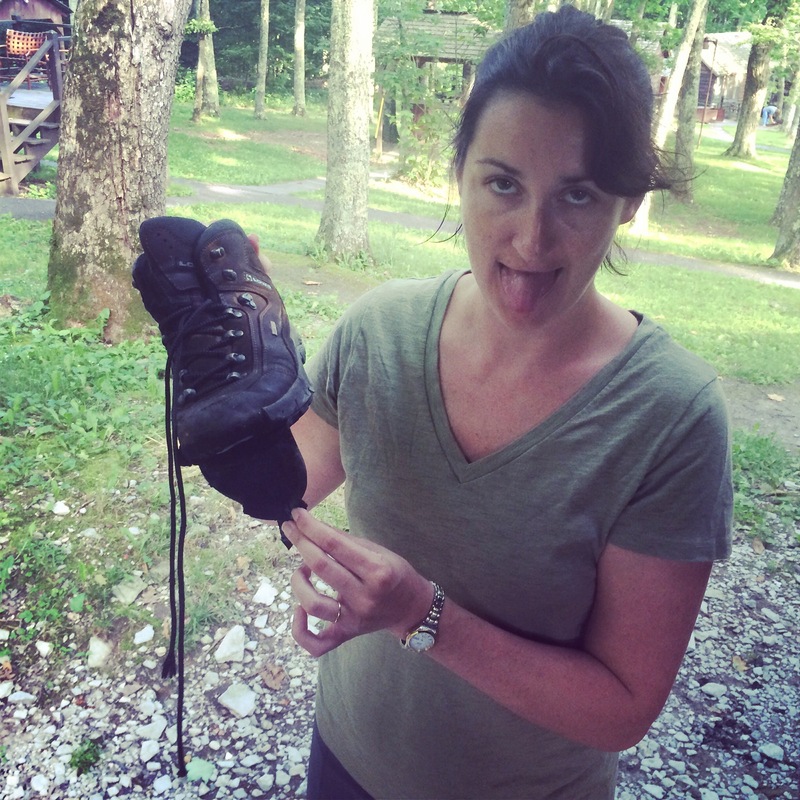 In the introduction the main character goes into a rant about her hiking boots. They are in my option the most important piece of equipment you will own. That was actually one part of the book that drove me nuts, who doesn’t make sure they have the right boots!?! I have had my hiking boots for ten years, they are an amazing pair of Lowa boots. They have been around the world with me. I love me boots, well I loved my boots. While on a four-day hike in Shenandoah they fell apart. Epically fell apart, the sole started to come loose from the boot and disintegrate at the same time. By day two I was limping along with them taped together. This also meant they were no longer waterproof. They were wrecked. I can’t be too hard on them, they were in fact ten years old and had taken me miles and miles. My boots didn’t need one minute to wear in, they were delightfully comfortable out of the box. So they now lay retired in Virginia. On went the search for new boots. One trip to REI later and I figured that I would just pick up another Lowa or maybe a Merrell. All things being equal and sticking to my own standards I tried on a few. The Lowa boots have changed in ten years and just were not as comfortable. After looking at every pair they had I chose a Vasque mid boot and boy are they are light. We don’t do week-long trips anymore and having a lighter boot for the 3-4 days trips is just fine. Having a few extra with us on the road makes the most of time off. We have our hiking gear and our scuba gear, always being ready for adventure. This entry was posted in Life on the Road, Travel Tuesday and tagged cheryl strayed, Hiking, hiking boots, Lowa, travel, Travel Tuesday, Vasque, wild. Bookmark the permalink.